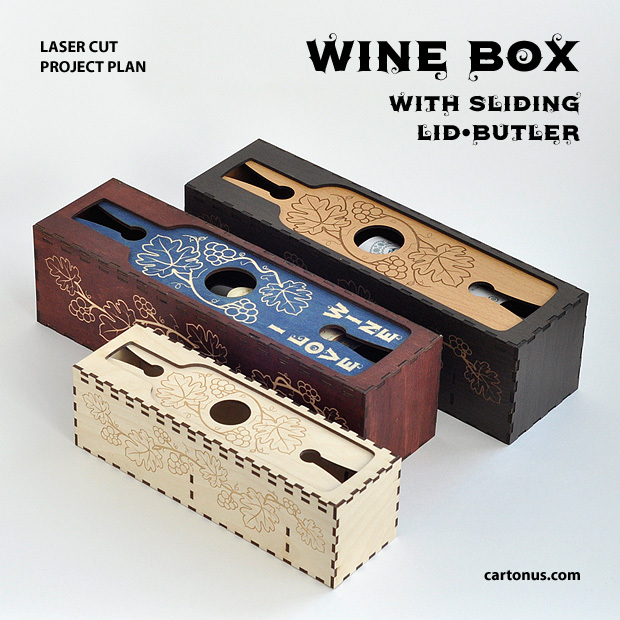 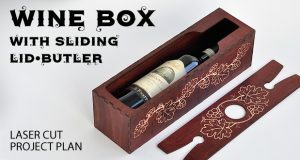 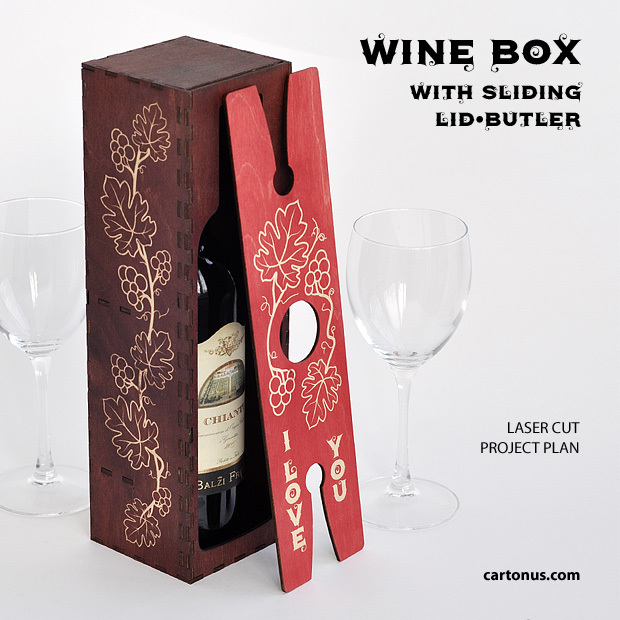 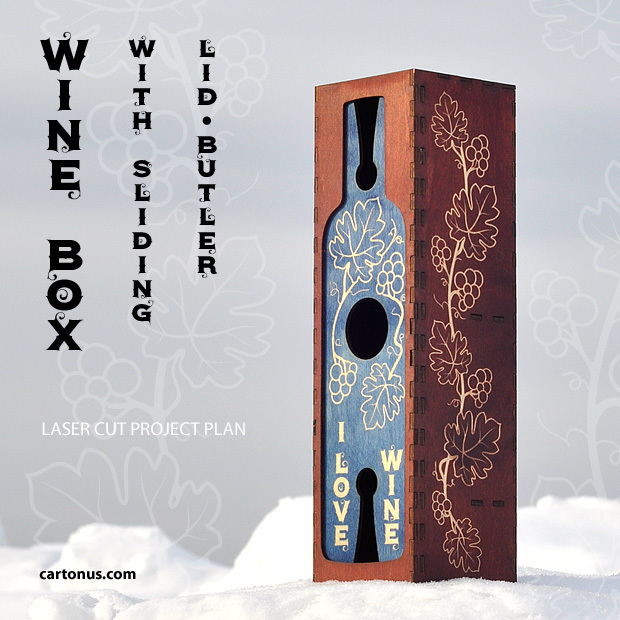 Wine box has a sliding lid. 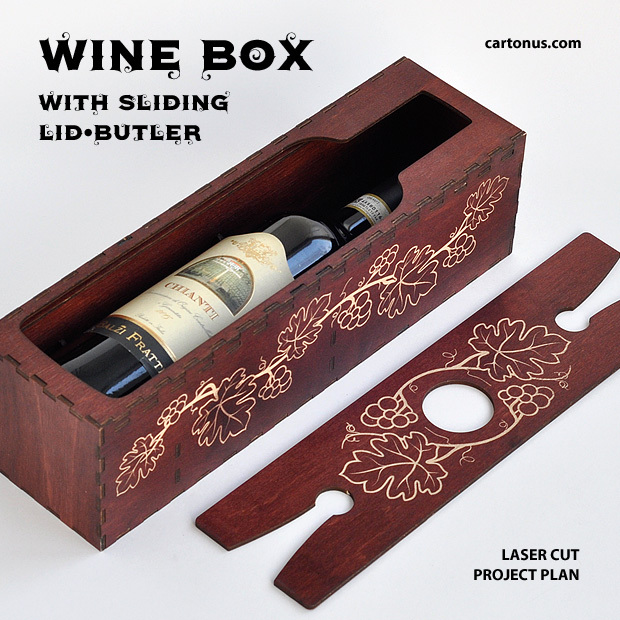 Lid can be used like a butler for two glasses. 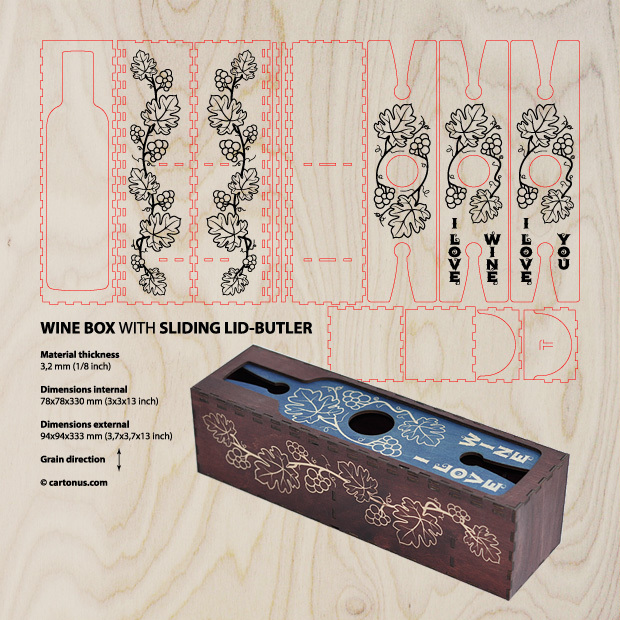 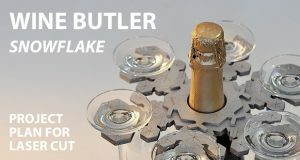 You can make different engraving both sides of lid-butler. 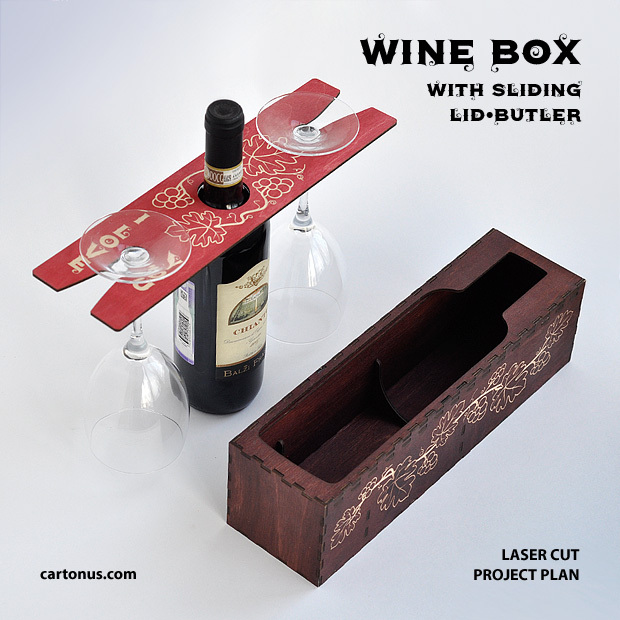 Wine butler makes carrying and serving your favorite wine and glasses easy. 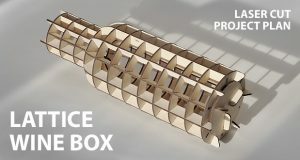 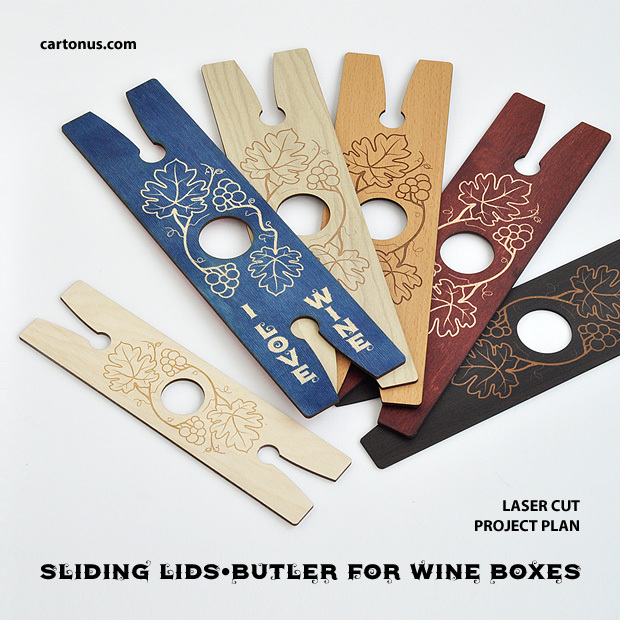 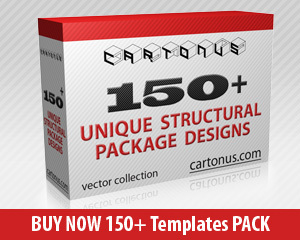 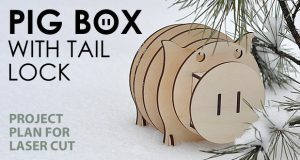 Lasercut vector model / project plan with engraving.